Moving a vehicle has always been a difficult and time consuming task which may require extra effort and money. To make things easier, Edisons offer a fine selection of T-Rex Striker Motorised Jockey Wheels. Designed to deliver that extra muscle whenever you need to move a caravan, camper, trailer, boat, horse float or anything similar, these tools will definitely save you from any back-breaking effort. 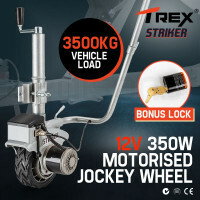 Suitable for use even in confined spaces such as yards, driveways, caravan parks and carports, the T-Rex Striker Motorised Jockey Wheels are highly manoeuvrable. Boasting a maximum vehicle load capacity of 3,500kg, each jockey wheel is capable of shifting your prized possessions even into awkward positions. The highly protective powder coated finish is also highly commendable. 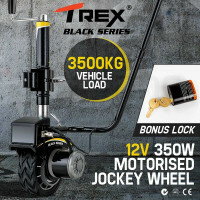 The T-Rex Striker Motorised Jockey Wheels have many fascinating and convenient functions such as the forward and reverse control and the large lever to easily adjust the jockey wheel’s height. Even on a slight incline, they can produce serious pulling power. Each has a robust construction and powerful motor which can help you steer trailers effortlessly. Other notable features include the automatic brake function, convenient power switch and lock and keys for complete security. Edisons is also a proud source of other heavy-duty Jacks and Lifts including Motorcycle Lift Jacks, Motorcycle Stands and Accessories, as well as 4wd Jacks and Accessories. You can also find a wide variety of auto and storage tools such as Air Compressors, Air Hoses, Ramps, Battery Chargers, Jump Starters, Workbenches, Bin Racks, and many more. 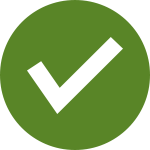 Easily move a trailer or other type of vehicle with minimal effort. Order a T-Rex Striker Motorised Jockey Wheel today!